Ahhhh it’s a beautiful day! The sun is shining, the birds are singing and the temperature is projected to reach record highs! WOOO-WHOOO! Spring colors abound with mild temperatures sending big clunky boots with the snow salt in the treads, back into closets. Time to show love to the open-toed, slingbacks and sandals as they emerge from their winter hibernation and take center stage. At Under Her Brim we feel that it is important to share information that will empower, support and help our readers stay knowledgeable and prepared. 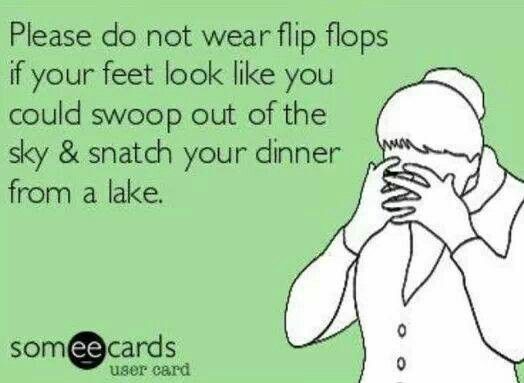 In the true spirit of preparation we share this Spring Public Service Announcement in love – Mind them Feet!!! Do not turn away from the nail salons if the pedicure stations are full!! Do NOT be thwarted by the crowd! If the pedicure station is full, make an appointment, run an errand and go back—Press forward and get that pedicure!! If all else fails it does not hurt to take the time to maintenance them at home.Clip them nails, sand those heels and lotion before bed (make sure they are clean). Be encouraged, you can do it!! Also remember when it comes to lotion, you CAN and are encouraged to reapply often throughout the day. Your feet will Thank you. Your skin will Thank You and finally, those of us who get a glimpse of those nails reaching over your shoe hitting the ground making tap sounds from Under our Brim sincerely Thank You.